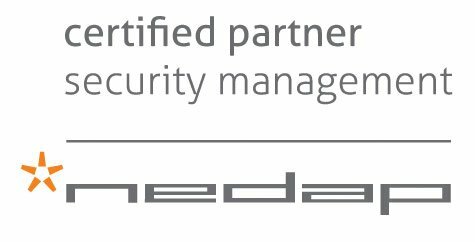 This web page explains how an Nedap AEOS, supplied and installed by EA Group, offers the Authorisation & Lifecycle Management features that enable you to get more from your access control system. determine the times and days of the week when access is granted and for which entrances. Templates can be assigned to groups of people so you don’t need to create access profiles for each individual. When someone requires access to additional rooms, for example, you can add individual entrances to their profile. This ability to combine templates with individual entrances or entrance groups and time schedules offers outstanding freedom to align fine-grained authorisations with your security policy. Templates predefine both when and where access is granted, by combining day/time schedules with entrances or entrance groups. They can be assigned to many different people, so authorisations can be set for an entire department at once. for a specific person in relation to a specified time schedule. AEOS can assign and manage authorisations automatically by applying rules, which you can define based on selected characteristics and corresponding authorisations. When someone’s personal data matches a rule, their authorisations are set or changed accordingly. If someone moves to a different department, for example, their access rights to specific rooms will change automatically. You can determine when specific areas in your building can be accessed by setting time schedules in AEOS. These schedules can apply to everyone or specific people only. Moreover, during holidays you can control access for specific people and for selected buildings and areas. AEOS allows you to predefine different security scenarios and corresponding actions, so you can respond quickly in emergencies by switching to a different security level. If need be, for example, you can restrict access so only safety personnel can enter. When you need to change authorisations for several people at once, you can change the templates so authorisations update automatically for anyone with that template. If you have created rules to determine authorisation profiles, the authorisations will change automatically if either the rule or a person’s data changes. Authorisations can be set for a specific time period after which they expire automatically. So you can be assured that authorisations stay up-to-date without your system getting cluttered. To help you meet your security policy easily, AEOS enables you to implement additional access rules such as the four-eye-principal, anti pass back or visitation for specific doors. A key benefit of the AEOS platform is the way it takes care of lifecycle management, which relates to the registration, updating and deactivation of cards. In AEOS, authorisations are assigned to people instead of cards. This stops people with several cards accruing numerous profiles, and prevents your system getting cluttered. It enables you to link multiple types of identification to each person so that, when their authorisations change, the changes apply to all types of identification at once. Efficiency in the enrolment process is improved as AEOS links to multiple devices, including biometric enrolment devices, passport scanners, badge readers and webcams. Most companies have specific policies for employees, visitors, contractors and vehicles, so relevant data needs to be captured for each group. As these groups are often managed by different parts of the organisation, AEOS manages identity groups separately using different forms and defaults. AEOS can fill fields automatically from your Facility Management or HR system when enrolling new people, and connecting a passport reader enables automatic upload of passport data. You can connect a biometrics enrolment station to ensure a person’s fingerprint, or other biometric identification template, is added to their authorisation profile automatically. A USB desktop reader can be connected to AEOS, allowing badge numbers to be entered automatically when badges are scanned. When all authorisations are assigned and a badge-printing device is connected, badges can be printed immediately from AEOS. As authorisations are linked to the person rather than their card, it is easy to replace badges. If someone loses their badge, a new one can be activated and the lost one deactivated without having to assign new authorisations. All access is denied when blocking someone from the system. You can also set AEOS to block access automatically if someone has not entered your premises for a set period of time. This increases security in case a badge is lost, for example. Blocking access can also be automated by setting an expiry date for people with temporary contracts. When authorisations are set to expire on a specific date, AEOS can send an email or SMS to notify the person that their authorisations are due to expire. You can record policy violations and set corresponding sanctions in AEOS. Ultimately, a person can be blacklisted and a new badge can only be granted for them after they have been removed from the blacklist.